Totally Thames takes place over the month of September and brings the river to life via an exciting season of arts, cultural and river events throughout the 42-mile stretch of the River Thames. Video is a fantastic way of keeping the spirit and advocacy of the project alive. Since 2008 (when it was still known as the Mayor’s Thames Festival), we have worked Totally Thames and partner organisations on various films during the festival. Totally Thames has commissioned Chocolate Films to document many artistic and creative projects. These have included a ‘reverse graffiti’ project where an artist used a waterjet to write TS Eliot’s ‘The Wasteland’ on the banks of the Thames, and this film, HippopoThames. 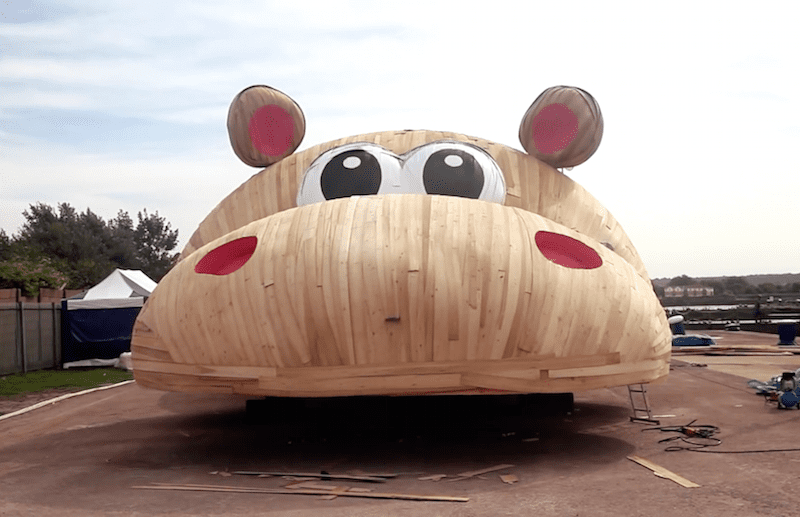 As part of Totally Thames 2014, we documented renowned Dutch artist Florentijn Hofman as he created an extraordinary new sculpture that attracted attention from all over the world: an enormous wooden hippo.